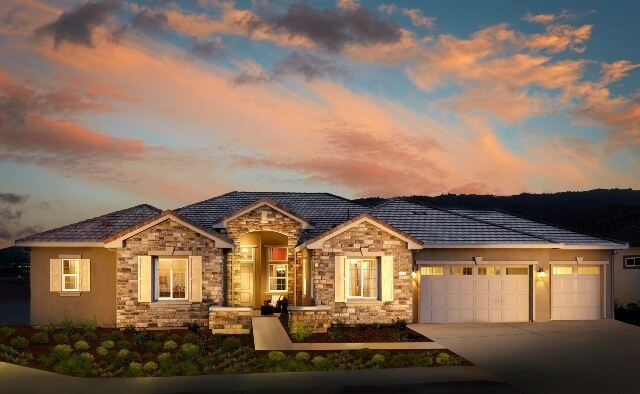 The Bay Area Building Industry Association recently honored Meritage Homes Corporation with the coveted "Builder of the Year Over 200 Units" award. The leading U.S. homebuilder was repeatedly recognized during the Excellence in Home Building Awards Dinner held April 8 at the San Francisco Marriott Marquis. The highly competitive Excellence in Home Building Awards recognize the industry's most outstanding building, sales, marketing, and trade professionals who have distinguished themselves by working to deliver their best each day for the betterment of the industry. "We are honored to be named as one of the best homebuilders by the Bay Area Building Industry Association," said Barry Grant, Northern California Division President at Meritage Homes. "We closed 26 percent more homes in the Bay Area last year than we did in 2014, despite the challenges of working through one of the most constrained labor markets in history. This prestigious award is an affirmation of the team's hard work, collaboration and commitment to excellence." Meritage Homes also won "Purchasing Team of the Year" award and "Escrow Coordinator of the Year." "What makes an evening of this nature so satisfying is the incredible mix of individual honors and group awards that Meritage received," continued Grant. "We are proud of the team for their dedication and well-deserved recognition." Meritage Homes is the seventh-largest public homebuilder in the United States, based on homes closed in 2015. Meritage Homes builds and sells single-family homes for first-time, move-up, luxury and active adult buyers across the Western, Southern and Southeastern United States. Meritage Homes builds in markets including: Sacramento, San Francisco Bay area, southern coastal and Inland Empire markets in California; Houston, Dallas-Ft. Worth, Austin and San Antonio, Texas; Phoenix/Scottsdale, Green Valley and Tucson, Arizona; Denver and Fort Collins, Colorado; Orlando, Tampa and south Florida; Raleigh and Charlotte, North Carolina; Greenville-Spartanburg and York County, South Carolina; Nashville, Tennessee; and Atlanta, Georgia. Meritage Homes has designed and built more than 90,000 homes in its 30-year history, and has a reputation for its distinctive style, quality construction, and positive customer experience. Meritage Homes is the industry leader in energy-efficient homebuilding and has received the U.S. Environmental Protection Agency's ENERGY STAR Partner of the Year for Sustained Excellence Award in 2013, 2014, 2015 and 2016 for innovation and industry leadership in energy efficient homebuilding. For more information, visit meritagehomes.com.